Many people enjoy sitting down to their morning cup of coffee. However, they’re unaware of the antioxidants and beneficial nutrients packed within this desired beverage. So, here’s 7 health benefits of coffee you might find interesting. 1) Drinking coffee improves energy levels and makes you smarter. You may ask how this is possible, so let’s explore this with some depth. Caffeine, a commonly consumed stimulant, is absorbed into the bloodstream blocking neurotransmitters in the brain. When these transmitters become blocked, the firing of neurons become enhanced. This is much like a shot of norepinephrine or dopamine. This in turn increases energy levels, improves mood and increases brain functioning. With increased brain functioning comes the ability to process information, thus an increase in cognitive abilities. 2) Have you ever noticed that the most common ingredient in fat burners is caffeine? Well, caffeine is one of the few natural substances that produce a fat burning effect. This is why drinking coffee may aid in your body’s ability to burn fat. Studies show that caffeine boosts the metabolic rate by 3-11%, and that fat burning increases by 10% in obese individuals and 29% in lean individuals. However, this fat burning effect is a result of an increased metabolism. However, the boost in metabolism may diminish over time. 3) Coffee improves your physical performance. The nervous system becomes stimulated by the consumption of coffee. This is because the caffeine sends signals to the fat cells causing them to break down. These cells are then used as fuel. Another way coffee helps improve performance is the increase in adrenaline levels. This is the fight or flight reflex. It’s the body’s way of preparing you for physical exertion. 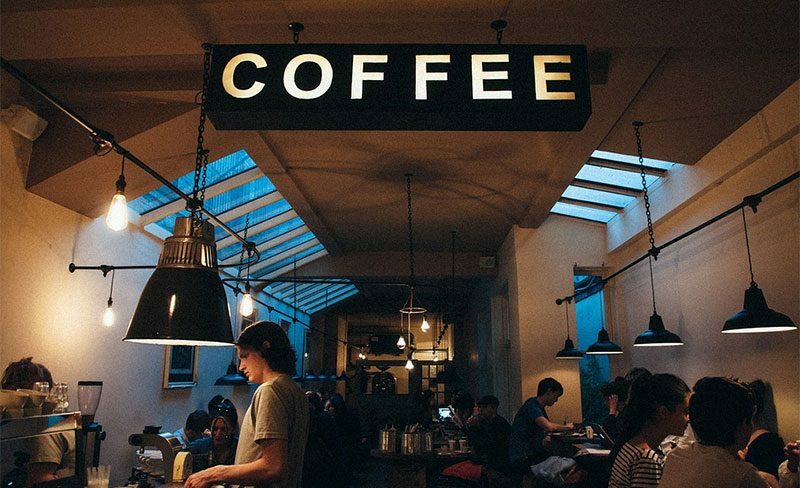 This is why it may pay off to grab a cup of coffee before hitting the gym. 4) Coffee may lower or reduce your risk of diabetes. While this disease affects more than 300 million people worldwide, drinking coffee may help reduce your risk. Observational studies have shown that consuming coffee reduces blood sugar and insulin levels. Individuals who consumed coffee decreased their risk of diabetes by 4-8%. However, it may be wise to go easy on the sugar, as this may cause a spike in your glucose levels. The goal here is to decrease blood sugar and insulin levels. 5) The consumption of coffee is also linked to a decreased risk of Alzheimer’s and Dementia. This neurodegenerative disease is the leading cause of dementia, and consuming coffee may be a preventative measure. By consuming caffeinated coffee daily your risk of developing this disease is decreased. However, there’s no cure for this disease. 6) Much like that of Alzheimer’s, the consumption of coffee may lower your risk of Parkinson’s Disease. Parkinson’s is the second largest neurodegenerative disease. While there’s no. Now cure for this disease, studies show that consuming coffee daily may reduce your risk. Decaf coffee showed no effect, so go for caffeinated. 7) Have you ever noticed how having a cup of coffee improves your mood? Well, coffee has been linked to lowering depression and suicide rates. According to a Harvard study, the risk of depression is 20% lower among women who drank four or more cups caffeinated coffee, than those who drank little or none. So, by consuming caffeinated coffee daily, you’re lowering your risk of depression and increasing your quality of life. While there’s many benefits of consuming coffee, we hope that these 7 health benefits will make you appreciate your next cup. From decreasing your risks of diseases to improving your quality of life, coffee has you covered. So, next time you need a pick me up, grab a cup of coffee and reap its benefits.